Sha Tin 18 offers authentic Cantonese and northern Chinese cuisine, friendly service and great value. Housed within Hyatt Regency Hong Kong, Sha Tin, this restaurant is perhaps best known for its illustrious Peking Duck and is the perfect destination for weekends spent with family and friends or for a business gathering during the week. The restaurant boasts a spacious outdoor terrace with calming vistas of mountains and trees while those in the main dining room enjoy watching the chefs in action from the (very) open kitchen. Embodying the concept of “dining in the kitchen”, the restaurant brings together four separate show kitchens, each a showcase for authentic specialties, from noodles to barbecue, and dumplings to dim sum. Dining in this manner, certainly adds a sense of theatre to the dining experience and an insider’s view into the chefs’ world of culinary actions. 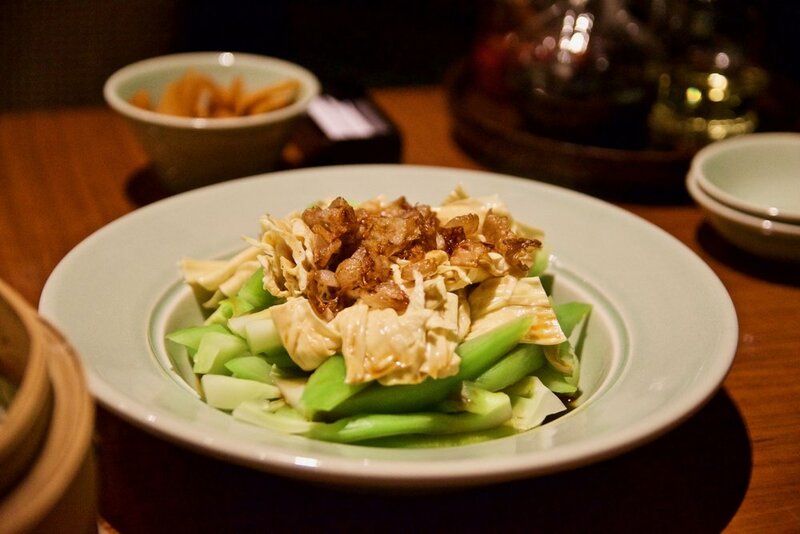 The menu embraces authentic flavours from China: traditional Peking Duck at the Barbecue Kitchen; home-style Dongguan and Cantonese specialities at the Wok Kitchen; traditional noodles and dumplings at the Noodle and Dumpling Kitchen; and innovative Chinese desserts at the Dessert Kitchen. 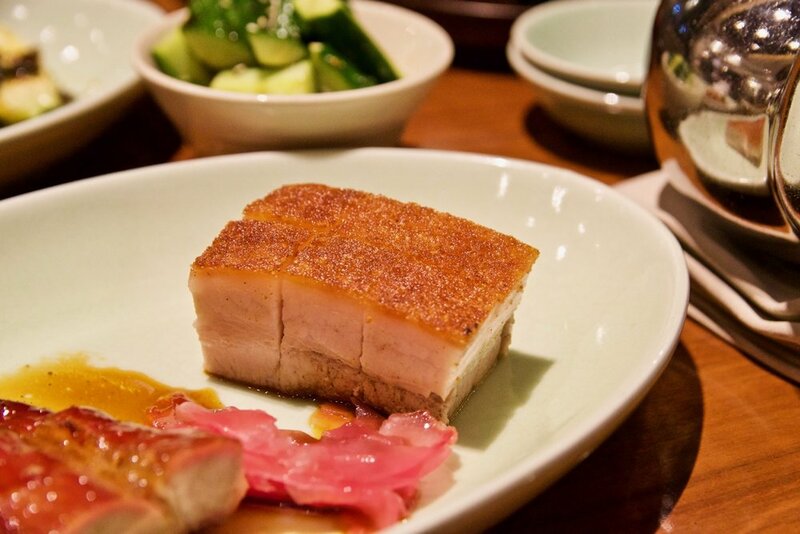 To start, we recommend the wonderfully juicy barbecued pork and crispy roasted pork belly – these are textbook perfect. The marinated jelly fish, fungus and vinegar-soaked black beans are another crowd pleaser. We loved the balance of flavours – sweet, sour and savoury. For mains, the steamed pork ribs with glutinous rice is stunning. 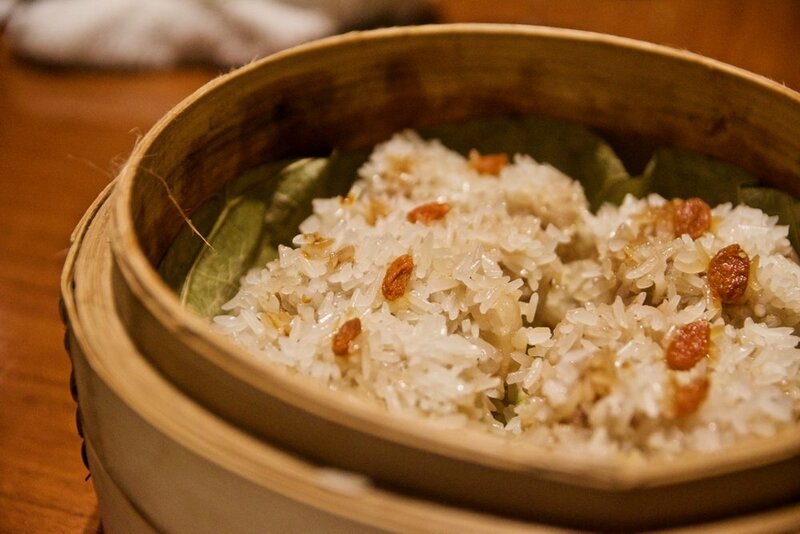 Think melt in your mouth morsels of pork coated in chewy sticky glutinous rice. The tossed mustard greens with beancurd sheet and shallots are similarly delicious. We loved how the vegetables were cooked to perfection with the perfect amount of “bite”. A visit to Sha Tin 18 would, of course, be incomplete without sampling their absolutely stunning Peking Duck. Here, the chefs showcase the authentic Peking Duck, which is one of the signature dishes enjoyed by emperors in the old days. Skilfully sliced in front of guests, the Peking Duck is served in the most traditional way: crispy duck skin with sugar, and duck breast meat or duck leg meat wrapped in a steamed pancake, alongside cucumber, leeks, soya bean paste, and a touch of garlic. This is one classic and mouth-wateringly delicious rendition of the dish and is not to be missed. Dessert time is equally as exciting at Sha Tin 18. We were blown away by the homemade Chinese wine chocolate ice cream – wonderfully luxurious with its flavour heavily dominated by the constituent alcoholic component. While the usual alcohol flavoured ice creams have an icy texture from being harder to set, we were impressed at how creamy and beautiful these were. Equally delicious is the red date madeleine served with a decadent Grand Marnier custard sauce. We loved how it was served hot from the oven and boasted a nice crisp texture. At Sha Tin 18, the best of China’s cuisines are on show. Certainly worth a visit when you are in Hong Kong.